The ideal of successful achievement as alleged by worldview says, that if a person has an education then he is worthy and acceptable. Moreover, people would say of the man or woman who graduated from high school, or who has earned a degree are successful. Joe is a man who lives on the street, and one would wonder how it is that he came to be in that place. The eyes of society would gather that he is good-for-nothing, lazy, or the scum of the earth. However, they would be surprised to know that Joe was reared by a Christian family, and went to one of the finest private learning institutions in the city. When he graduated high school he attended a prominent college to earn a Degree in Business, and from there went on to work making good money with a reputable company. His future was bright, or so it seemed, because for most he had everything he needed. As society dictates he got married, bought a house and had children. Hence, Joe was living the American Dream. Sadly, life as he once knew it ended years ago, because when I first saw Joe he was one of the people who stand outside the corner store asking for money. I was curious about the man I saw there, because contrary to how he looked he had a dash of sophistication about him. It was the way he held his hand to say thank you, and the slight tilt of his head as smiled that drew my attention. I asked around for anyone who knew his plight not wanting to seem disrespectful. Who would believe that this scraggly bearded man with the ragged clothes hanging around corner store asking for coins was once a successful gentlemen, husband and father? Statistical data is of particular interest here, because it denotes that people with higher education are more likely to drink, and those who have higher income tend to be most affected. Figures show those 5-10 % males, and 3-6% females may be considered alcoholic, according to the National Institutes of Health (as cited by MNT, 2009). What happened to Joe’s family? Once he started drinking which began as early as 9 a.m. there was no turning back for Joe. He would hide bottles everywhere in the house so that no one would find all them. Thus, when his family thought they had a reign on the illness it seems that the illness got an reign over them once again; Alcoholism is a family disease, and has claimed about seventy more than 70 million Americans. Accordingly, sources say that the alcoholic family tends to step into roles where the family conveys “the perfect family” to the outside world. The Mascot. This child is the class clown and the most popular member of the family. His or her role is to provide laughter to a humorless state of affairs. The Lost Child. “This child disappears from family activities, spending a lot of time watching television or alone in his or her bedroom. His or her purpose is to be low maintenance and not place any demands on an already taxed family system.” No role is entirely owned by any particular member of the family. Unfortunately, Joe has not seen his family for years. Is there help available for the Alcoholic who suffers? There is hope for Joe and others if they believe. Watch: There is hope & life after Alcohol Addiction & Drug Addiction. What is an Alcoholic? What is Alcoholism? What is Alcohol Abuse (2009). 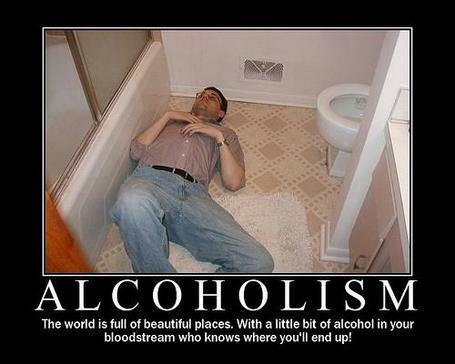 Alcoholism and Drug Addiction a Spirtual Disease. Is Alcoholism and Drug Addiction a Spiritual Disease? This entry was posted in Adolescence, Children, Domestic Violence, Education, Environment, Ethical, Family, Health, Marriage, Men issues, Mental Health, Personal, Relationships, Religion and Spirituality, Spiritual and tagged Addiction, Alcoholism, Caretaker, Drink, National Institutes of Health, Scapegoat, Substance dependence, United States. Bookmark the permalink.